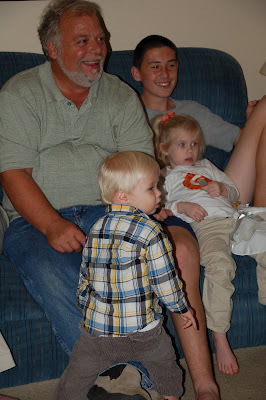 We had a great Thanksgiving week in Birmingham, visiting with family and friends. I have a TON of pictures, but I'll try to to over whelm you! A special thanks to our dear friends the Phelps for hosting all of us for the week. It was so great to get that extra hang out time with you guys! It was also great to finally get to meet Miss Avery- Georgia was in love with her! She's a "little tiny baby" Georgia would tell us! Now she's hoping another "little tiny baby" girl like Avery is growing in mommy's tummy! She also loved having another little guy around- and I think she found Logan a bit more snuggly than her own little brother! And spend a fun evening with the deVilleneuve's, Brooms and Wrights! 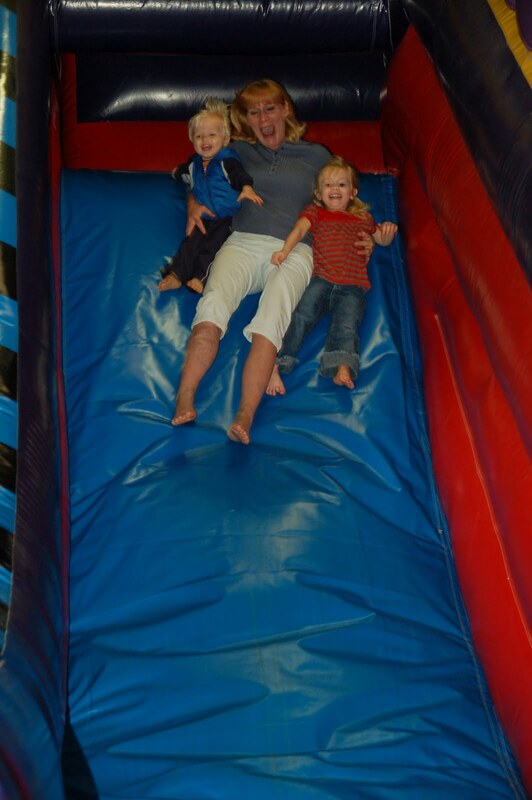 Aunt Heather and Nana joined us at Pump It Up for some fun one morning! Georgia shared her coloring with great-Grannie. Lincoln having fun with Uncle Jon- "hot dog!!" Lincoln getting a horsey-ride from PawPaw. Georgia & Uncle T check out some games on the phone. Lincoln and Nana puzzling over a puzzle. Georgia helped Jaclyn beat me in mexican train dominoes! Lincoln getting giggly with Francis! The little Auburn boys- nice hat, buddy!! Our best attempt at a picture with all kids! Loved this pic- where's Avery?! Thank you all for sharing your time with us! We are so Thankful for such sweet family and friends and our time with you! We love you and miss you! !